100% Pinot Noir form different clone types ( Pommard, Mt. Eden, Swan, 114, 667, 777) planted in 1973. The PN vineyard stretches between 600 and 900 feet in elevation, approximately 16 miles from the Pacific Ocean. Great diversity of soils containing limestone, shales, uplifted marine volcanics and loam. 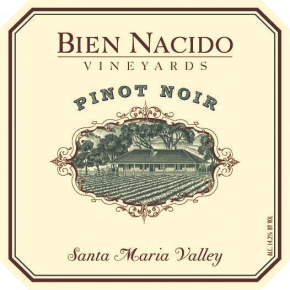 Bien Nacido Pinot Noir offers spicy dark aromas of cherries, pipe tobacco, cloves, and cola. Black tea and dark fruits dominate the decidedly masculine palate. Elder, and Chamise shaly loams with Pleasanton sandy loam.